I love this recipe because my family makes it. 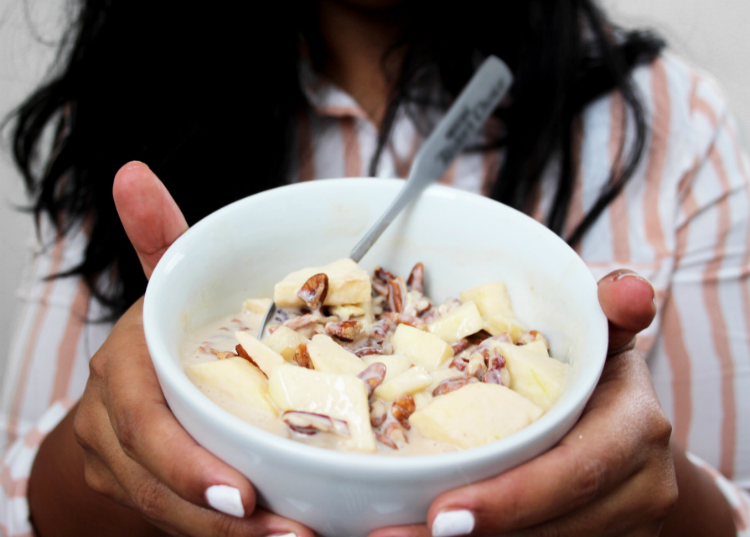 When we have family gatherings this fruit salad is the first thing everyone runs to. I love that it is not over indulging. You can eat as much as you want and enjoy every bite. This was my first time making it myself and I will for sure continue making it this season. I think it's the perfect dish to take to pot lucks or family gatherings this holiday season. 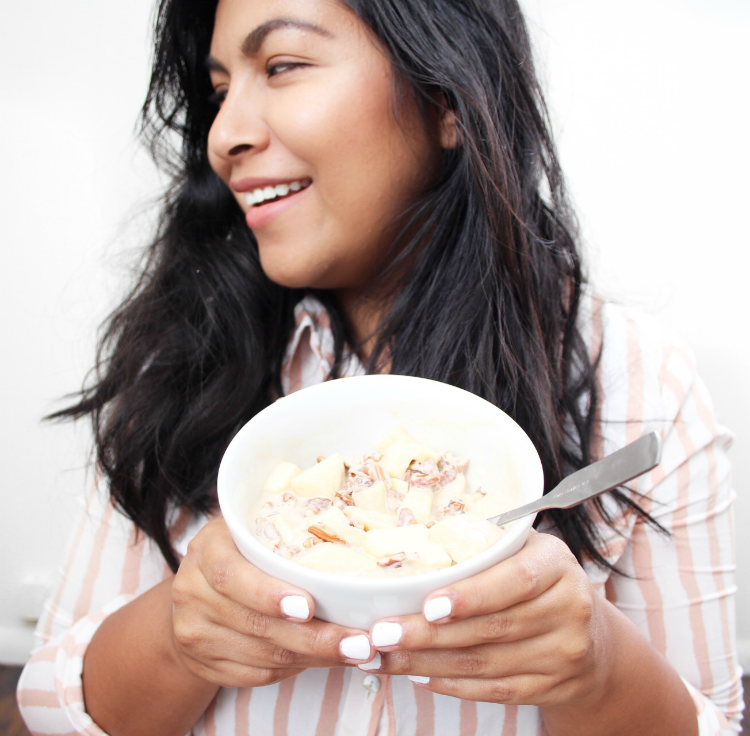 It's a creamy, sweet, and crunchy salad everyone will enjoy. Plus, it is so easy to make. 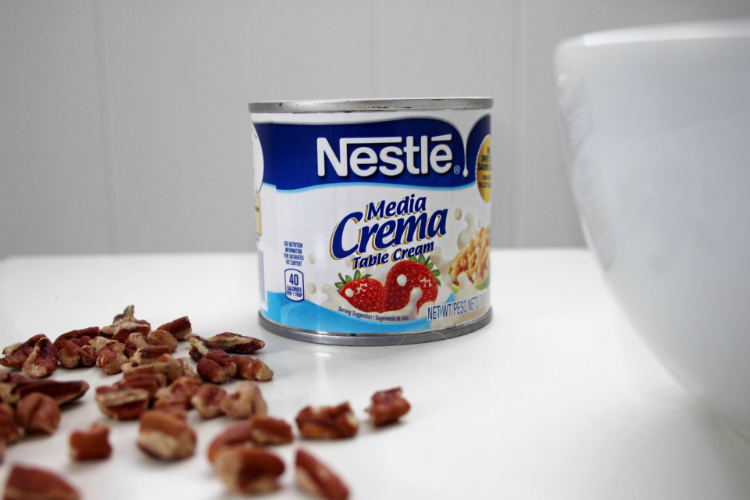 There is one ingredient that is the perfect addition to this salad, Nestlé Media Crema. 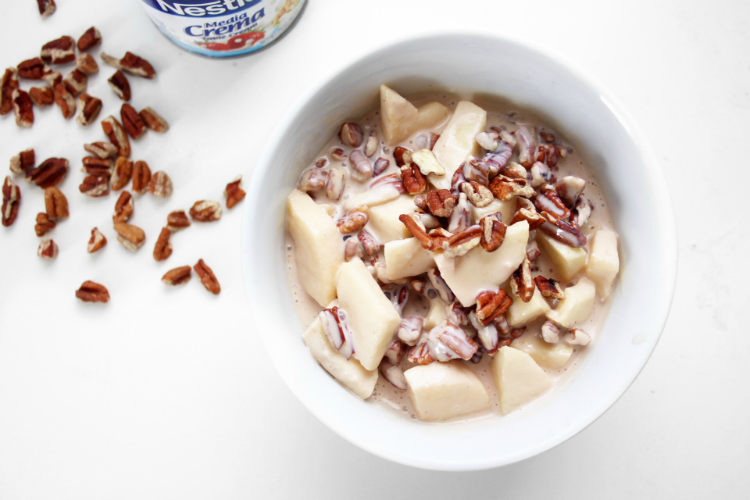 Nestlé Media Crema gives this apple and pecan salad the final touch. It took me minutes to make once I chopped the apples. Evan's little fingers were all over this salad before I could finish. This fruit salad is SO GOOD!😋 Let me know if you try out this recipe! For more recipe inspiration using Media Crema visit ElMejorNido.com!! 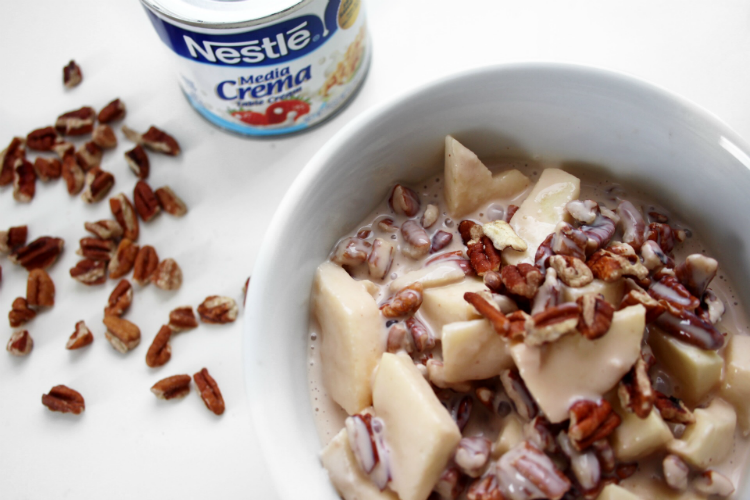 Add apples, pecans, condensed milk, Nestlé Media Crema, and sugar together in a bowl. Mix well and refrigerate for about an hour. That's it! Enjoy! !